Damaged Outlook data can be easily get back with the Outlook PST Recovery Software. Both ANSI and Unicode type PST files are supported for this purpose. Therefore, users can successfully process and retrieve unlimited data from a corrupt Outlook Data (PST / BAK) files. Once the Outlook PST repair utility is performed after processing corrupt data from PST, it is displayed on Software for a preview. On the Outlook Recovery Software preview panel, one can browse through all the components and its respective data to open and view them before restoring. 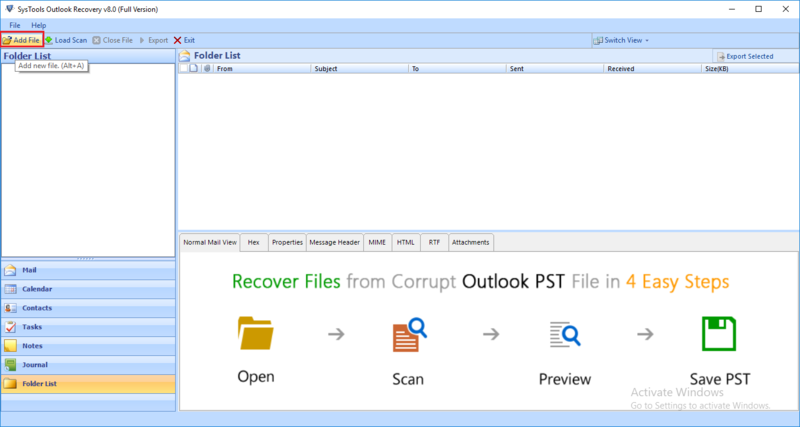 Despite hard deletion, users can still restore Outlook emails from PST files. The Advance Scan option in Outlook Restore Software enables the user to know that deleted data restoration has to be performed on the data file that is being processed. The software displays recovered deleted PST items in Red Color in the preview panel. Varieties of options are featured by the Outlook Recovery Software to save retrieved data from Personal Storage files. Users can choose to save their recovered data from PST to a newly generated Outlook PST, Outlook MSG, or EML, HTML, PDF, Office 365 file format as per their convenience. The Outlook PST Repair Tool does process data files of just about any given size. However, the users do get the option to choose what to restore (export) and what not to. 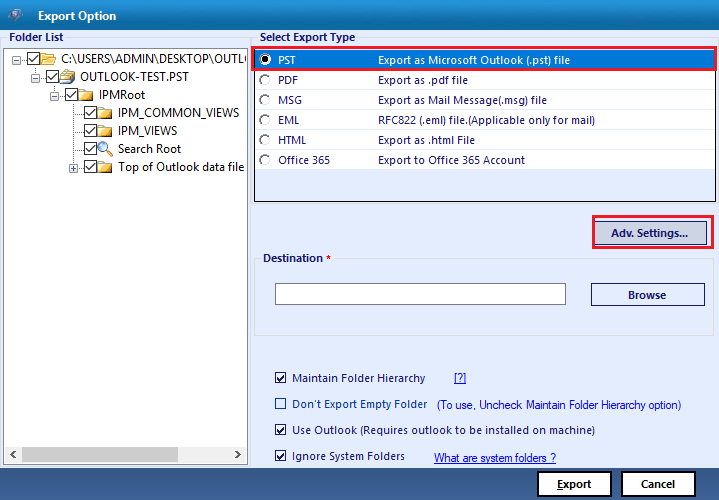 Once the users recover Outlook data, they can select individual item(s) or folders to be exported. 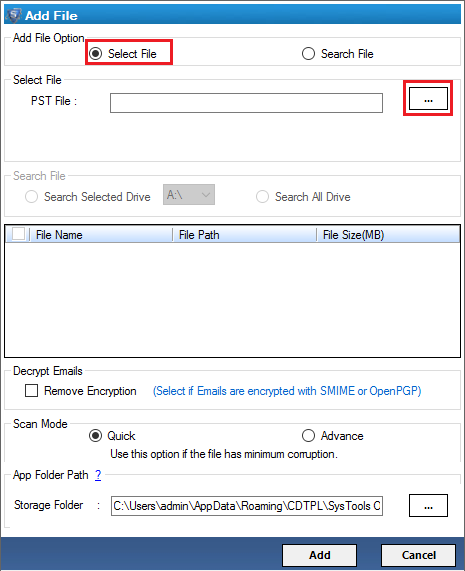 The Outlook PST Repair Tool renders option to remove SMIME and OpenPGP encryption from Outlook messages. The software decrypts protected Outlook email messages with help of its respective certificates, keys and passwords. It provides preview SMIME or OPENPGP encrypted emails. The decrypted emails can be stored in PST, PDF, MSG, EML, HTML, and Office 365 without encryption. The software provides "Don’t Export Empty Folders" feature to exclude Empty Folders in Export file. This will skip all folders and sub folders which are empty while migration process. To activate this feature, uncheck ‘Maintain Folder Hierarchy option and then select Don’t Export Empty Folders option. When exporting, further customization is featured in the Outlook PST Restore tool according to the end user’s convenience. Users can not-only specify the output storage path but also choose to split the output (if in PST) or set naming convention of their choice (MSG / EML / PDF / HTML). 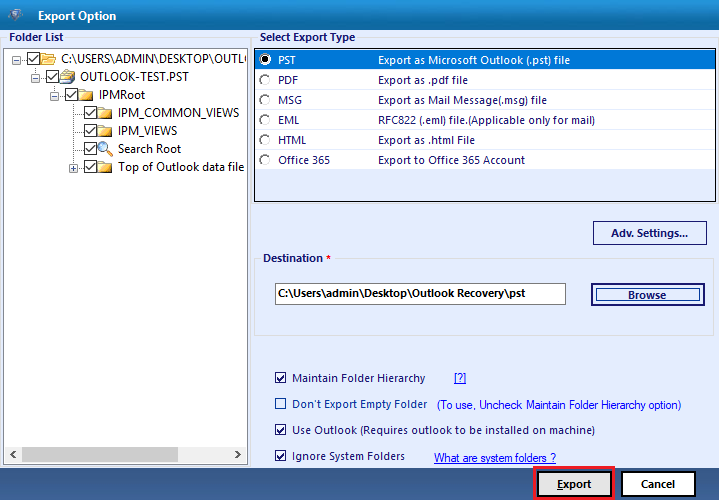 Outlook Restore tool allows to save PST in EML or MSG file formats. The user can select one of the multiple naming options available to save emails for better manageability after retrieving and storing the PST files in the system. Step 1 : Open the Outlook PST Repair Application.The Tool requires MS Outlook pre-installed and configured in the installation System. Step 2 : Click the Add File button to enter Outlook PST files to be restored. Step 3 : A dialog box appears to selecting the PST / BAK file by Select File Option or Serach File Option. Step 3.1 : Check Select File Option to add a PST or BAK file from the user selected location in the system. Step 3.2 : Check Search File option to load all PST or BAK files. 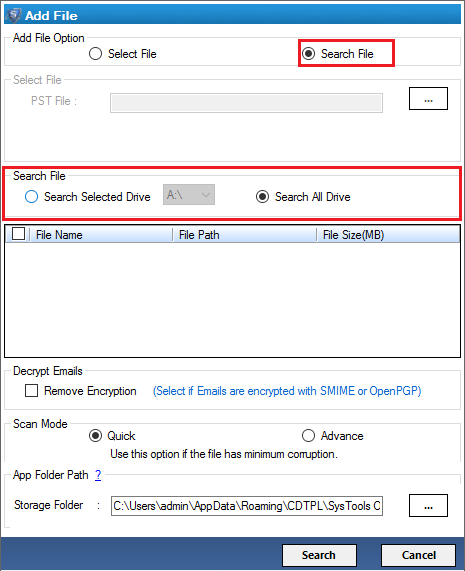 This option provides 2 options: Search Selected Drive or Search All Drive in the system. The tool will display PST as well as BAK files as per the selection. This feature allows usrs to repair multiple PST files at once. 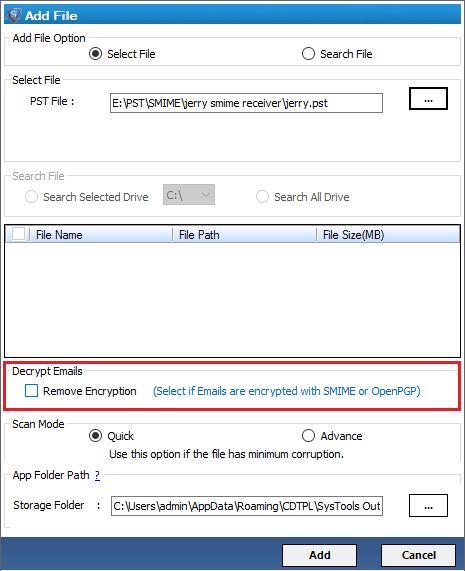 Step 4 :Check Remove Encryption option to decrypt Outlook emails encrypted by SMIME or OpenPGP encryptions. Step 5 : See the storage path of PST file. The utility provides two scanning modes: Quick and Advance. Now click on "Add File" button to begin Scanning of selected PST / BAK file(s). Step 6 : Simultaneously completion of the Scanning process, click Yes option to Save Scan, or else click No. Step 7 : The PST Fix tool provides option to preview emails with attachments. It previews details of email in Normal View, properties, Hex, HTML, MIME, Message Header and also previews Attachments of email. The software display folders in Bold font, if it contains data in it. Step 8 : Export button in the Menu bar (top left) will allow to migrate all PST file data into required file format. To Export Selected Items only i.e, to export only few emails / contacts / claendars data items; select Export Selected Option on the top right corner. Choose required Advanced Settings option as per requirement. 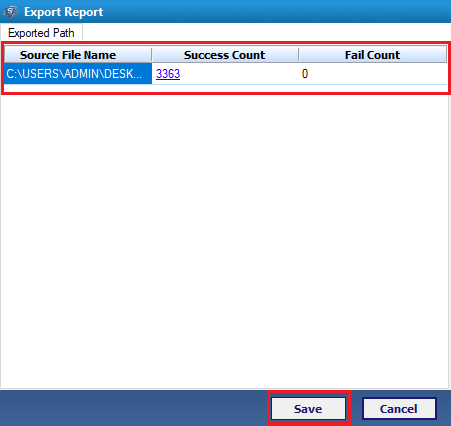 Step 10 : Click the Export button to start the export Outlook PST process. 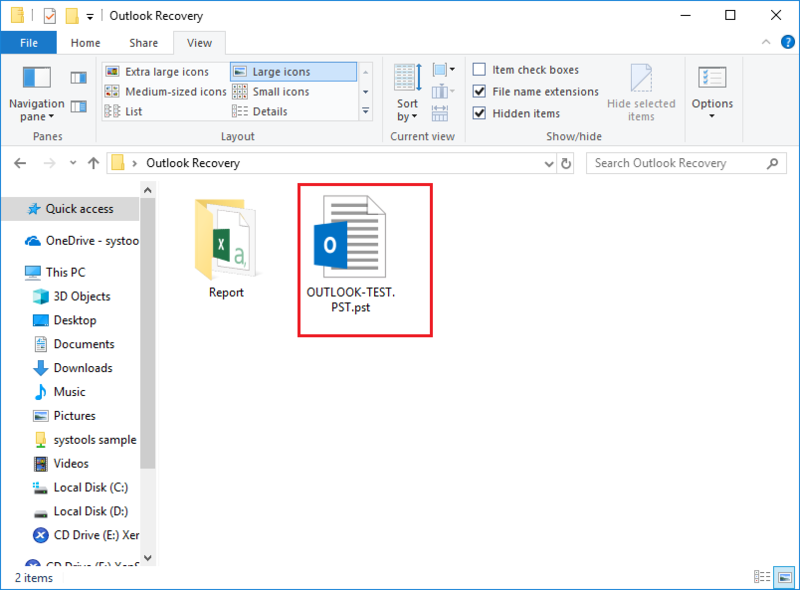 Step 11 : After completion, the Outlook PST Repair Software will displays a message of successful process, click the OK button to finish the recovery process. 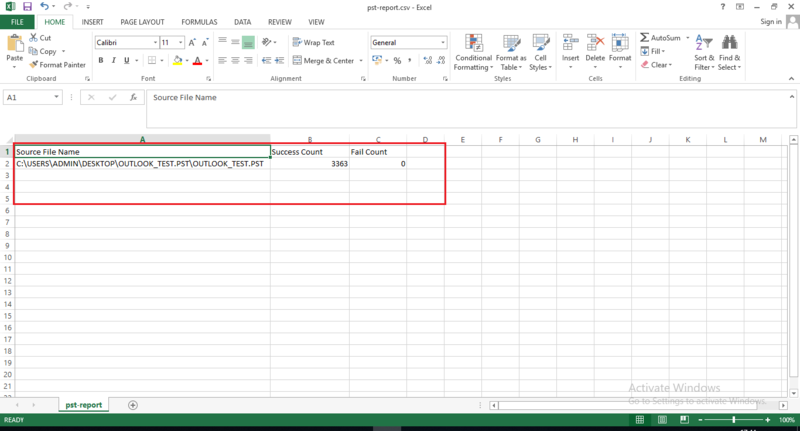 Step 12 : An Export Report will be ready with details of the process, Click the Save button, if you want to store the information in a CSV format. Step 13 : Now view the report of the whole Outlook Recovery process. Step 15 : Now view the final PST file generated by PST fix Tool in the user specified Destination location. Step 16 : Now Open / Import generated Output PST file in Microsoft Outlook 2019 / 2016 / 2013 / 2010 / 2007 version as per availability. Q. How to get back lost data from undetectable PST if Scanpst.exe fails if I have BAK file? Ans: Yes, it is very much possible for you to retrieve lost data from a BAK file. Simply download Outlook PST Repair Software and process your corrupted BAK file on it. 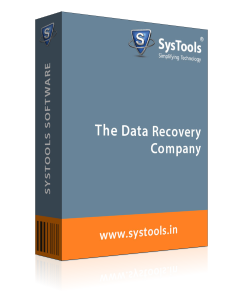 The Outlook Recovery Tool not only repair PST data file, but also provide option to select a BAK file created by ScanPST directly in the software and repair it easily. 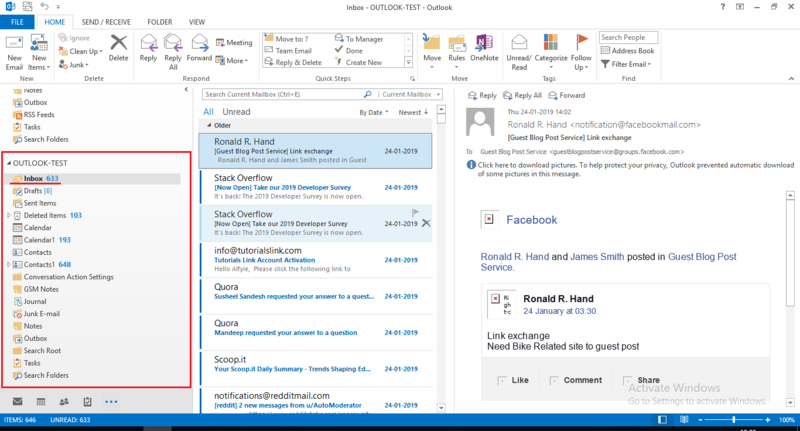 Q.How can I access to my Inbox folder in MS Outlook 2010 version? Ans: At times, an infected mail can affect a particular folder that is holding it before the damage being spread in the entire file. You can use Outlook PST file recovery Software for restoring and retrieving Outlook PST Data in 2016, 2013, 2010, 2007, 2003 versions according to your convenience. Q. Can I extract contacts from a password protected Outlook account? Ans: There is no way to open a protected PST file without having its respective password unless you use a third party application, preferably Outlook PST Repair tool. Therefore, without external help it is impossible to extract contacts or any other data from a password-protected file. 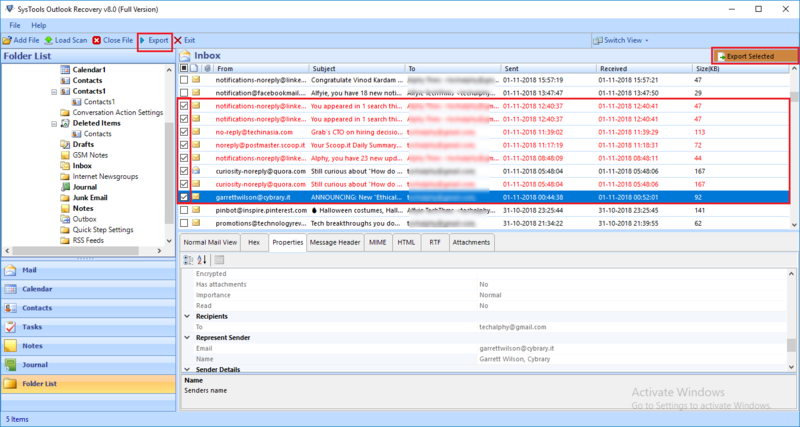 The Outlook PST Repair Tool offers recovery and restoration of Outlook Files despite password protection (strictly for legal purposes). You can scan your archives with this utility to check whether they are corrupt or not and restore the data in both the scenarios. Q. 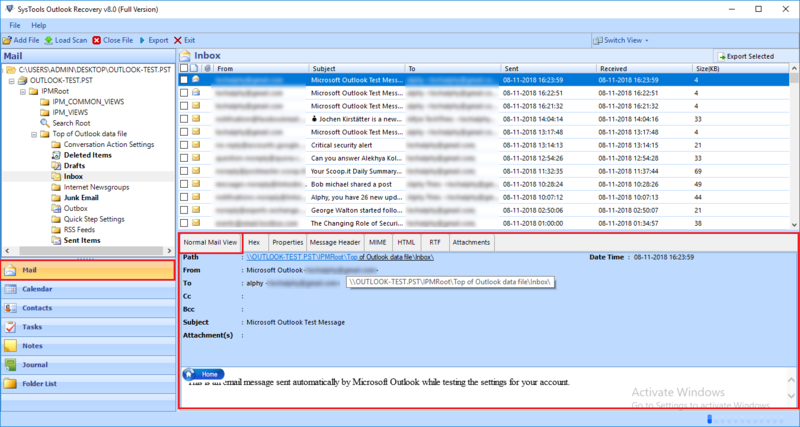 Can I retrieve removed emails and contacts using Outlook Restore Software? Ans: Yes, by using Outlook PST Repair and Restore product you can quickly restore Outlook 2010 emails which are permanently removed from it. 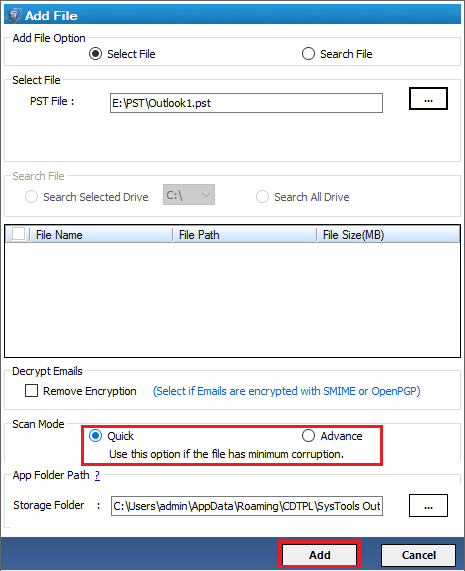 We suggest you to use Advance Scan option to retrieve deleted Outlook data from PST files in your account. Note: Outlook Recovery Software will get delivered on your registered email id, within few minutes after placing the order. My life became havoc since I lost some of the most important emails from a senior. I was puzzled the whole time as to how to restore Outlook mail messages that are deleted permanently. My search led me to your powerful Outlook PST Repair Software that did just what I wanted and how I wanted. Thank you Team! All my subordinates were looking for a solutions that could help them to know how to do Microsoft Outlook Recovery. After being suggested by a previous client, we got ourselves Outlook file restore software and we are immensely thankful to the SysTools Team for the way it resolved our situation so quickly. I am using MS Outlook 2012 account for many years. Meanwhile I have loosed many of my emails by mistakes. Few days before I lost my entire Outlook data due to some corruption. I found SysTools Outlook PST Repair Tool after googling a solution for the above. Thanks to the support team for helping me in between the process.